Companies A, B, C, D, E, and F.
at this point from 12 m. until 5 p.m.
Erected 1910 by State of Indiana. Location. 39° 27.85′ N, 77° 43.682′ W. Marker is near Sharpsburg, Maryland, in Washington County. 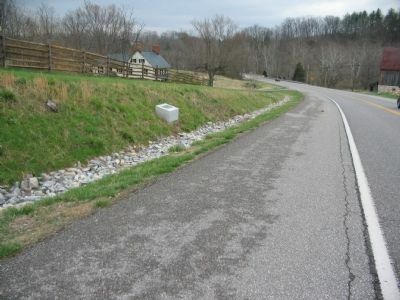 Marker is on Boonsboro / Shepherdstown Pike (State Highway 34), on the right when traveling west. Touch for map. Marker is in this post office area: Sharpsburg MD 21782, United States of America. Touch for directions. 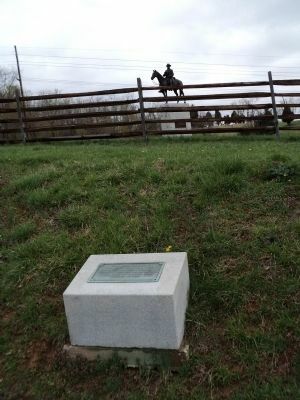 An equestrian statue of Gen. Robert E. Lee at the Newcomer Farm can be seen in the photo behind the marker. (about 300 feet away, measured in a direct line); Heart of the Civil War (about 300 feet away); 4th and 12th U.S. Infantry (about 300 feet away). Touch for a list and map of all markers in Sharpsburg. 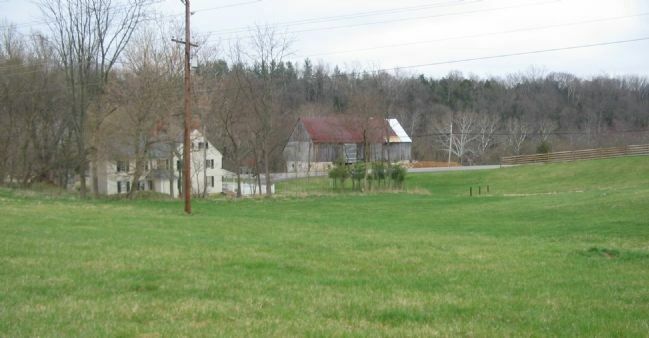 On the right, across the road, is the Newcomer Barn. Through most of the mid-day phase of the battle, the 3rd Indiana, with most of Farnsworth's Cavalry Brigade, maintained positions here, just west of the Middle Bridge. On the other side of the Pike is the Newcomer Barn. More. Search the internet for Third Indiana Cavalry. Credits. This page was last revised on December 7, 2017. This page originally submitted on April 14, 2008, by Craig Swain of Leesburg, Virginia. This page has been viewed 971 times since then and 9 times this year. Photos: 1. submitted on April 14, 2008, by Craig Swain of Leesburg, Virginia. 2. submitted on April 16, 2011, by Bill Coughlin of North Arlington, New Jersey. 3, 4. submitted on April 14, 2008, by Craig Swain of Leesburg, Virginia.